Saudi Arabia has long enjoyed the status of being the top crude oil exporter in the world. With record production of 10.564 million barrels per day in June 2015, Saudi Arabia has been one of the major driving forces behind the current oil price slump. The Saudis have kept their production levels high since last year in order to drive other players (especially U.S. shale drillers) out of business. Equally clear is the fact that this strategy of maintaining the glut and driving out rivals hasn’t worked so far. Even when we look at the refining sector, we see that the oil kingdom has been following a similar strategy of flooding the markets with refined fuel. The Saudis have already sparked an oil price war with the Asian refiners downstream by offering close to 2.8 million barrels of low sulfur diesel to the European and Asian markets. This has caused Asian refining margins to fall drastically, the effects of which can ironically now be seen on Saudi Arabia itself. Related: Could This Mark The Renaissance Of North Sea Oil And Gas? As the refining margins have fallen in Asia, refiners there have been compelled to cut their refining outputs. This could eventually result in refiners cutting their crude oil imports. Asia has been one of the biggest cash cows for Saudi Arabia and there have already been some cuts in some of the most crucial markets. India, which was earlier importing most of its crude oil from Saudi Arabia, is now changing its strategy and buying more crude oil from Nigeria, Iraq, Mexico and Venezuela. According to a survey by Reuters on 3rd August, Saudi Aramco was looking to hike the official selling prices of its crude oil (all the three grades) by around $1 per barrel from September 2015. However, the Saudis know very well that their selling prices are already high and a further substantial price hike might result in customers moving to other crude oil producers (much like what India did). 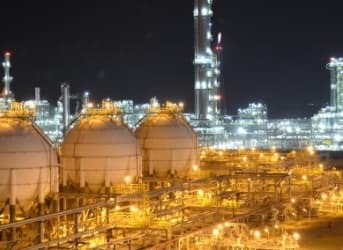 The result is that the price hike on its medium and heavy grades is less than half of what the analysts expected while the price hikes in its flagship Arab light grade is below earlier predictions. This cautious move suggests that Saudi Arabia is on the defensive, hoping to protect its market share. Is Saudi Arabia losing the oil price war? In short, Saudi Arabia’s policy of keeping production levels abnormally high and driving out U.S. shale producers simply hasn’t worked. Even as U.S. shale hedges are about to expire, some of the imminent bankruptcies would not result in wells getting abandoned, it would only result in cheaper acquisitions of bankrupt companies by their much bigger competitors. Once oil prices again rise to $60 per barrel levels, the bigger oil companies would naturally ramp up their production levels which would in turn increase U.S. crude oil production. Thanks to its generous public spending and a costly war against Yemen, one of the major worries for Saudi Arabia is that it is burning through its foreign reserves at an alarming pace. According to the IMF, Saudi Arabia’s fiscal deficit could rise to around $140 billion by this year end. From all this, it seems that the Saudis are now getting beaten in their own game and have been trapped in the oil price war that they themselves created. The Saudis are doing the right thing. They still have a massive pile of dollars should they require them for their day to day functions. They are also the lowest cost producer in the world , and crucially they can also look to the international money debt markets for funding. In their place, I would ruthlessly persist in the price war until marginal producers the world over (and especially N. America) realize that they cannot possibly hope to win and exit the market. Saudis are going to lose this dog and pony show. They need oil price to be above 70-80 a bbl to break even. Their only income sorce is oil. US is now able to produce at 30 a bbl. And over 800 wells not fracked yet. We should stop relying on opec oil and concentrate on support from Mexico and Canada. Why would north America exit the market, that is stupid. We want independence from opec. The Saudi strategy has been foolhardy from the beginning. For a small increase in production they are getting 30-50% less revenue. Sure they can force out some small shale producers, but the oil is still in the ground and the company that buys those assets will buy them at heavy discounts and will pump it out as soon as prices recover. Maybe they can postpone the development of long term projects by the majors, but those will be reactivated as soon as prices recover as well. Meanwhile shale can make up for any temporary shortfalls. Saudi Arabia can keep it up for a long time - until they run out of money. Doesn't sound so smart. Better to bite the bullet, sell a little less oil now, and allow prices to rise - probably realizing more than 50% higher net revenue than today (even after accounting for lower production). Keep the extra oil in the ground and sell it later at higher prices. Of course some were arguing that the real reason for the Saudi strategy was to cripple Iran. The only thing that seems to have accomplished is to force Iran to the bargaining table with the ultimate lifting of sanctions, which will only strengthen Iran and flood the market with even more crude. So much for crippling Iran. So by December, a year after embarking on this failed strategy, will Saudi Arabia realize the mistake or stubbornly proceed to lose billions of dollars a week, further draining their reserves? "Maybe they can postpone the development of long term projects by the majors, but those will be reactivated as soon as prices recover as well. Meanwhile shale can make up for any temporary shortfalls. " Most would beg to differ Yamaguchi. Shale assets being fast, flexible, turn em on, turn em off would be preferable against the Saudis. It is in fact the long term projects that will be knocked off line knowing that the Saudis can turn a long term project very IRR negative in a matter of months by opening up the taps. With a large shale inventory you can turn it on or turn it off and hold it. This was first apparent to me years ago when I read another Saudi official talk about being an "electricity exporter" from solar, "after all, we have unlimited desert sunlight to harvest". At that point I realized that they decided to sell with both hands while they still can. They also have terrible human rights records and a huge poor population and filthy rich monarchs that drive around in gold plated Mercedes. Also they arm aid and abet terrorists and are best mates with Israel. The last thing Saudi Arabia does is the right thing. The entire enlightened world hopes this is the end of Saudi-exported Wahhabism (and its unexpected outcome -- ISIS). Very insightful analysis of the situation. Oil is probably the most internationally interactive markets there is, and obviously commands broad attention for those wishing to consider and understand the implications of decisions such as the one the Saudis have taken. I dont see any problem neither any one should be if Saudis lower the Oil Price. this is good for the world economy. Inflation is getting down so are the interest rates and the Businesses are getting benefit with this trajectory. this may be the strategy of any efficient producer to dominate the market with cost leader ship and kick out the competitors. the Masses are overall beneficiary. the pump prices are substantially down. the transportation costs are reduced thus having a domino effect on all the economic value chain. by the way, as I read the U.S imports from Saudis are just 10-15% of their total overall imports. so why Saudis are concerned with the U.S market for just 1 or 2 million barrels as they could easily sell it to any where in the world. further, no one should relate this to Saudi vs Iran or Wahabissm etc. the price war is going on and only the ultimate low cost producer will win the game as happen in any other industry. the Saudis cost of production is only in the range of 10$ to 15$/bbl. by the way, the Saudis have diversified their economy alot and have integrated chain of petrochemical products. their untapped huge gold reserves are there. further they also gain huge from the rituals the people go and spend in their economy. Saudis aren't being beaten up in their own game. The Oil price war resulted in disasters. American stock markets are falling, the energy sector is suffering. besides this, The Russian economy is in turmoil. Many economists predict an economical crisis this year that's going to be much worse than the one in 2008. And for those media-manipulated people who accuse Saudis for supporting ISIS, I would say that the weapons dropped by US planes to ISIS are much worse considering.